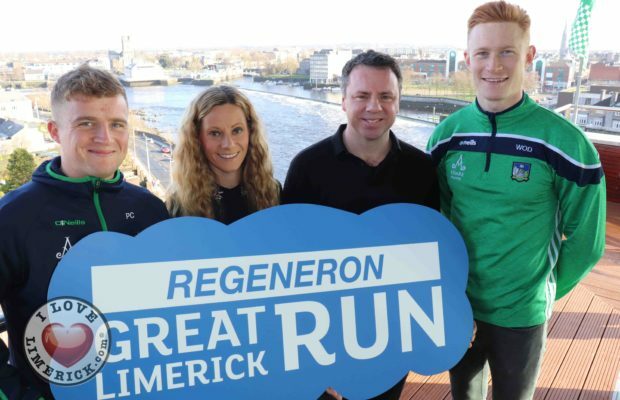 The Regeneron Great Limerick Run promised, on Monday, February 4, to do justice to its 10th-anniversary celebrations by having the biggest and best event yet. 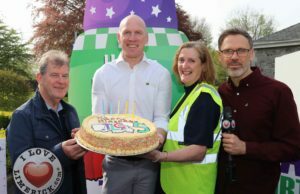 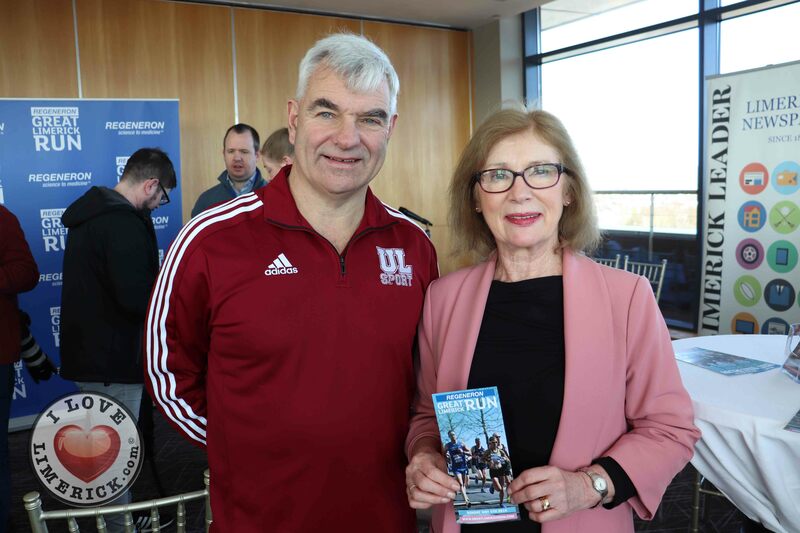 The 2019 version of the single biggest mass participation event outside of Dublin was launched on Monday by Mayor of the City and County of Limerick, Cllr. 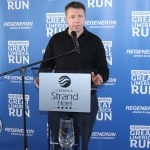 James Collins who said that everything suggests the organisers and sponsors are set to take the run to another level across the next decade, starting this year. 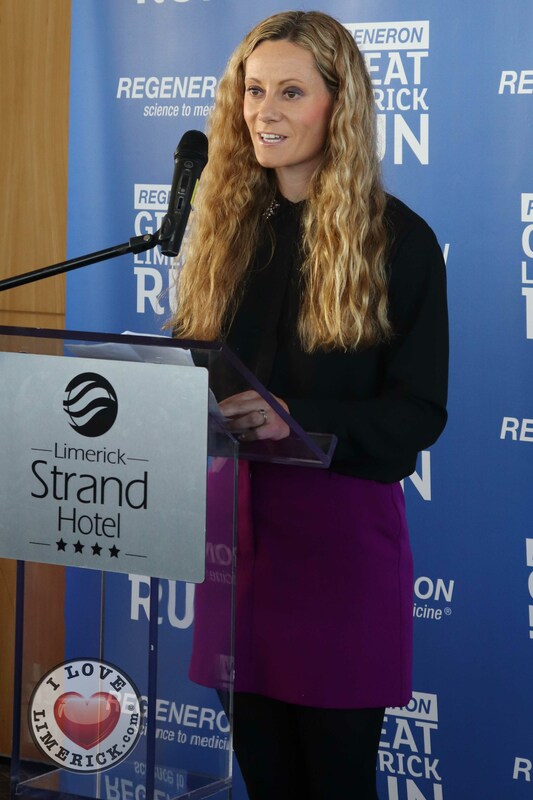 Speaking at the launch at the Limerick Strand Hotel, Mayor Collins said that when an assessment of the remarkable transformation that has happened across Limerick over the past decade is done, the role of the Great Limerick Run cannot be overlooked. 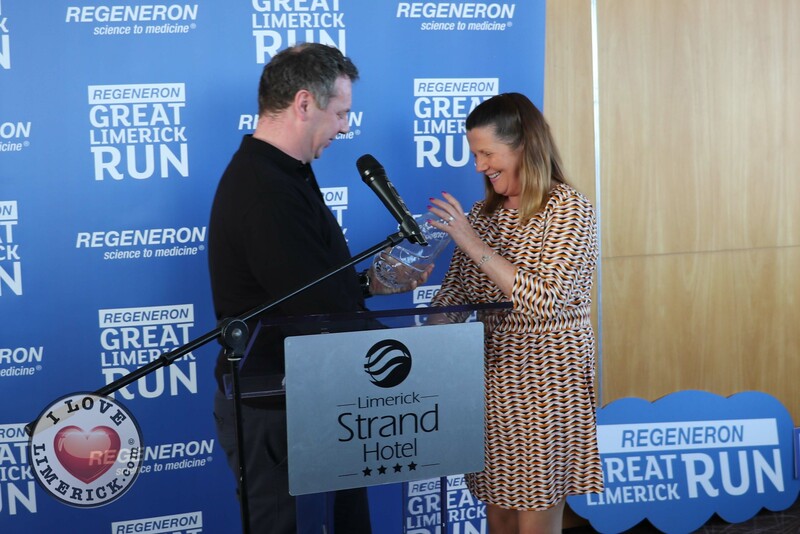 And he said that its ability to bring on board another new and dynamic sponsor in Regeneron reflects the special appeal of the event. 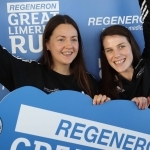 “Given the run is celebrating its 10th year this year, it’s worth reflecting on the impact it has had on Limerick over that decade. 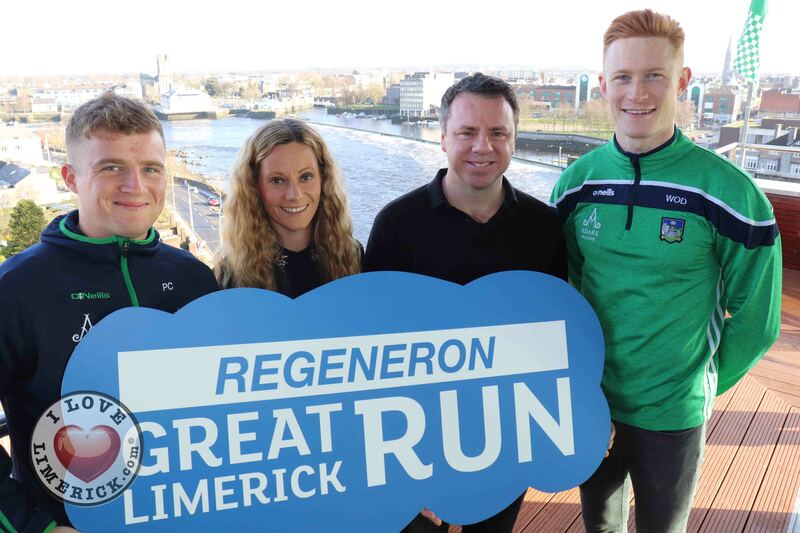 It’s been more than a run or a race; it has brought huge numbers to Limerick from across the country and opened a lot of eyes to the new energy of this great city. 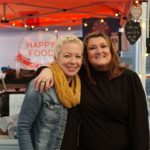 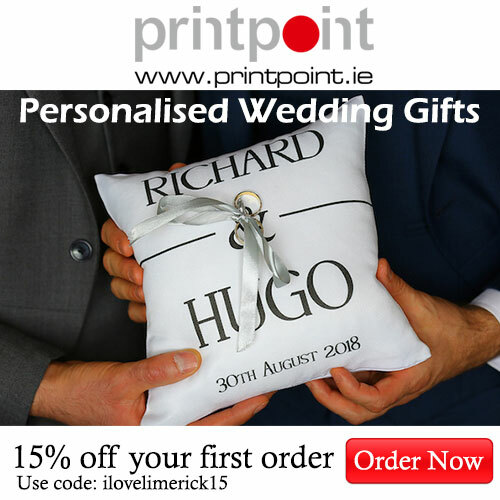 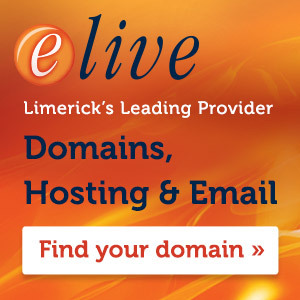 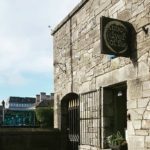 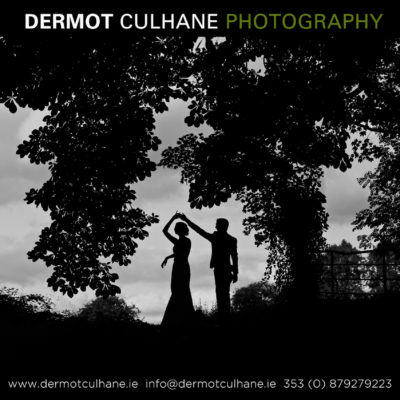 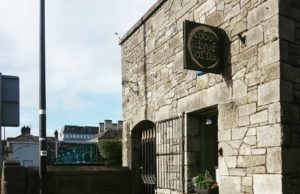 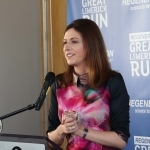 “We are incredibly grateful to the organisers of the event, therefore, for their contribution to the transformation of Limerick, for helping spread the word about what’s emerging here and growing the awareness of the celebratory city that we have and that has shot up the ranks of places to go and stay in Ireland. 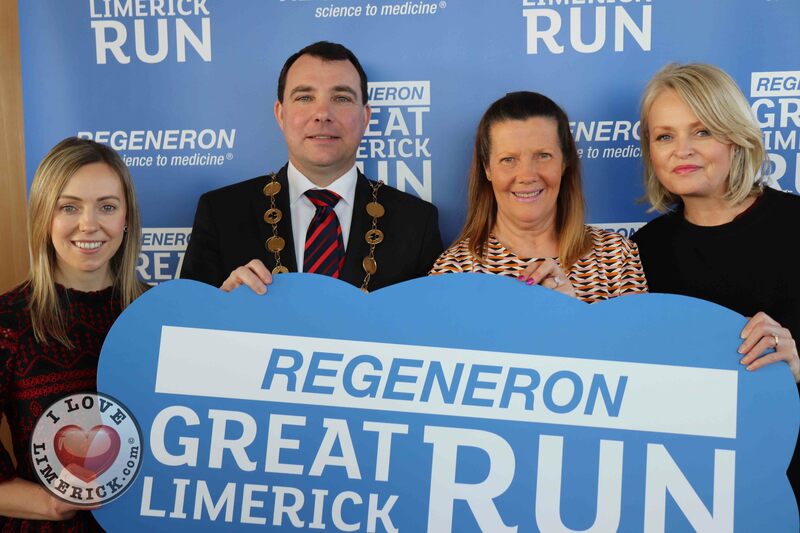 The organisers of the 10th annual Regeneron Great Limerick Run expect to exceed last year’s participant numbers of 13,000 thousand. 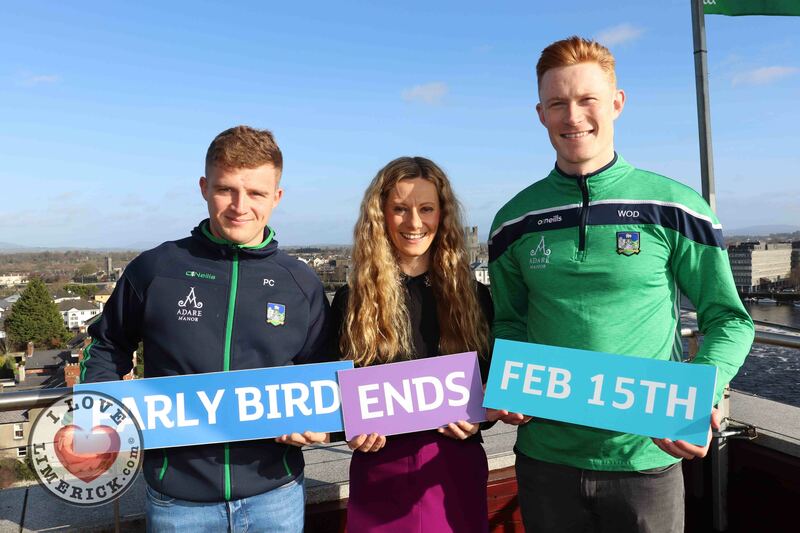 Based on the current increased level of early registrations that have taken place, with nearly 3,000 people have already availed of early bird discounted race entries over the three race distances, the event is on track to surpass last year’s total. 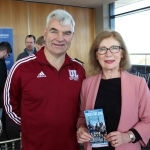 A Social & Economic Impact report commissioned by Limerick City and County Council conducted by W2 Consulting estimated the event will deliver a welcome €4.5 million boost to the local economy over the course of the May bank holiday Riverfest weekend in Limerick city. 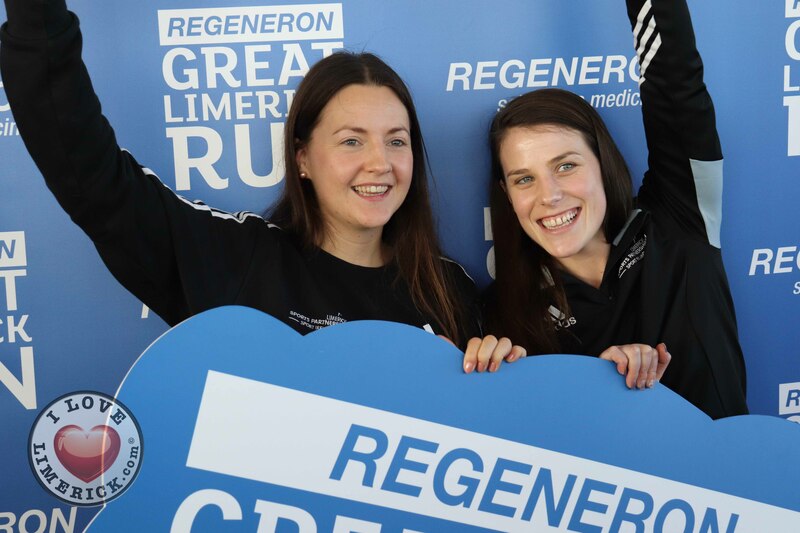 The run is now the largest mass participatory event outside of Dublin and the only annual ‘Tier One’ event in the Mid-West region. 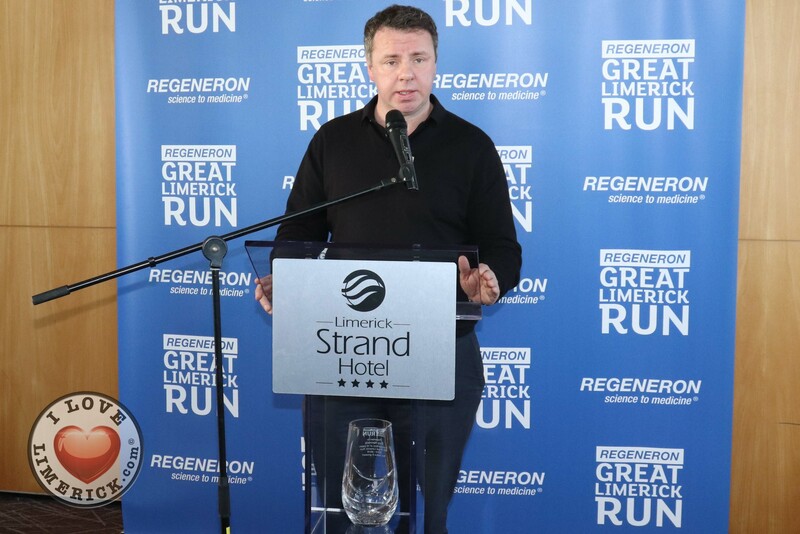 Speaking at the launch of the 2019 event today, Race Director, John Cleary welcomed Regeneron as the new title sponsor and also confirmed that the Munster Athletics Council have again designated both the Marathon and Half Marathon as their official Munster championship races. 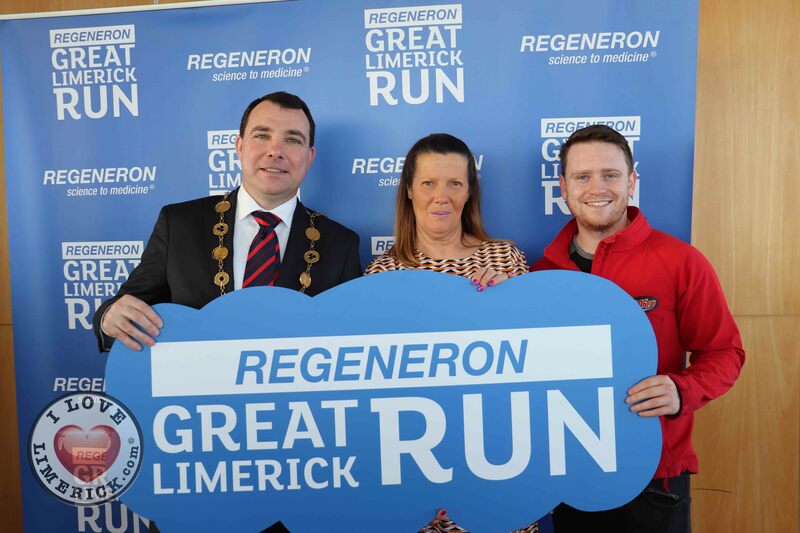 This designation which will entice higher numbers of competitive athletes chasing personal best race times is a reflection on the growing status of the Regeneron Great Limerick Run as a premier running event. 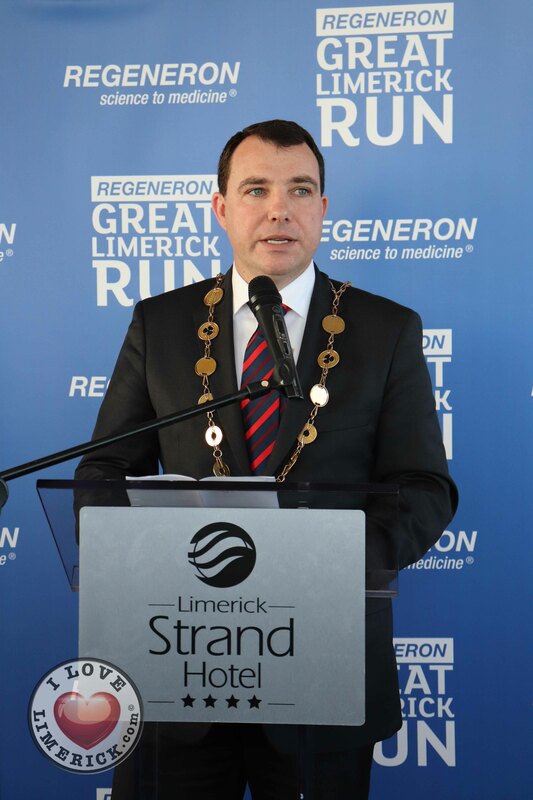 “I also wish to acknowledge the huge levels of support from the people of Limerick and beyond who have demonstrated in numbers both participating and watching year on year that the Regeneron Great Limerick Run is now a firm favourite on the Irish sporting calendar,” he said. 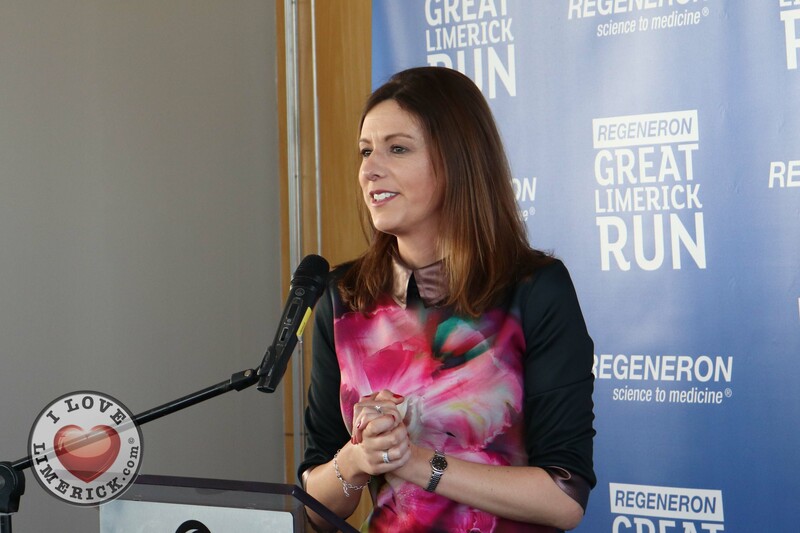 In anticipation of the increased demand for places in the children’s ‘Bon Secours Hospital Children’s Run for Fun’ which takes place in the University of Limerick on Saturday, May 4th, capacity has been extended to accommodate 3,500 children which are now the largest children’s event nationally. 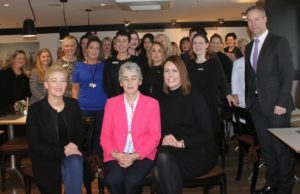 To date, the event has raised over €100,000 for those primary schools with participating children. 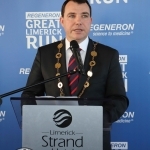 From the inaugural race in 2010, over 83,000 people have crossed the finish line raising €2.1 million for various charities while simultaneously contributing €25 million to local and regional business. 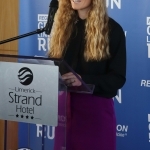 Over 200,000 people have cheered runners and walkers along the race routes. 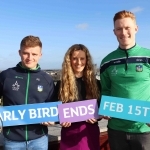 49.6% of participants claim the event was the main reason why they started exercising. 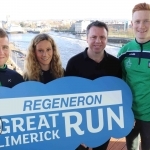 375,000 bottles of water have been used by participants in the last five years. 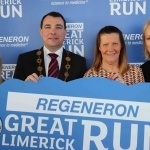 For full details on how to enter the Regeneron Great Limerick Run, visit www.greatlimerickrun.com. 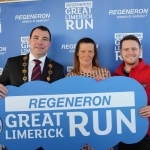 For more information on the Regeneron Great Limerick Run, go here. 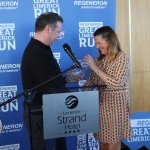 For more stories on The Great Limerick Run, go here.